Now this little back pack may look like your regular day pack to you, but don’t be fooled, it has a will of its own. I chose it to bring with me because it is usually comfortable on my back and useful with it’s many pockets an waterproof compartment. I trusted it to carry my prescription medications, my expensive wet weather gear from Kathmandu, my iPad and other things that I didn’t want to put in my regular luggage. 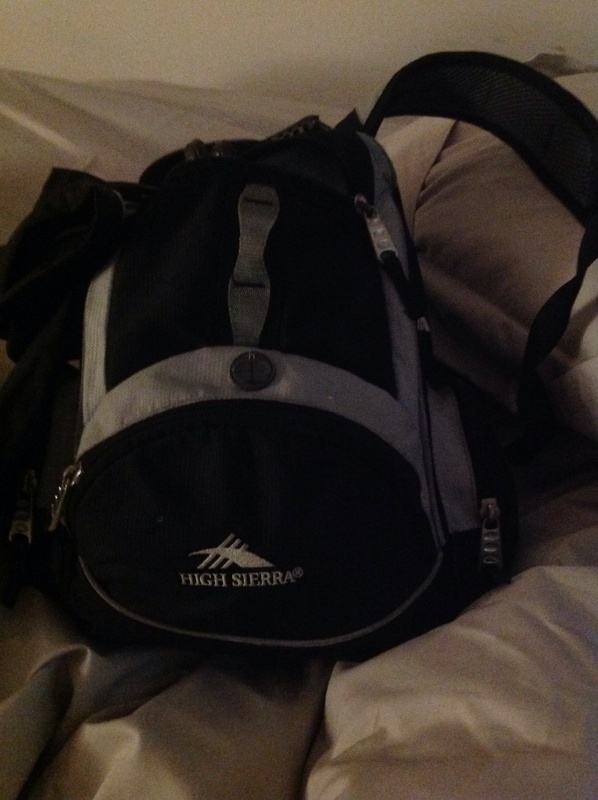 This little bag is not fond of travelling! This made not a jot of difference to how it felt about being my trusted travelling companion. 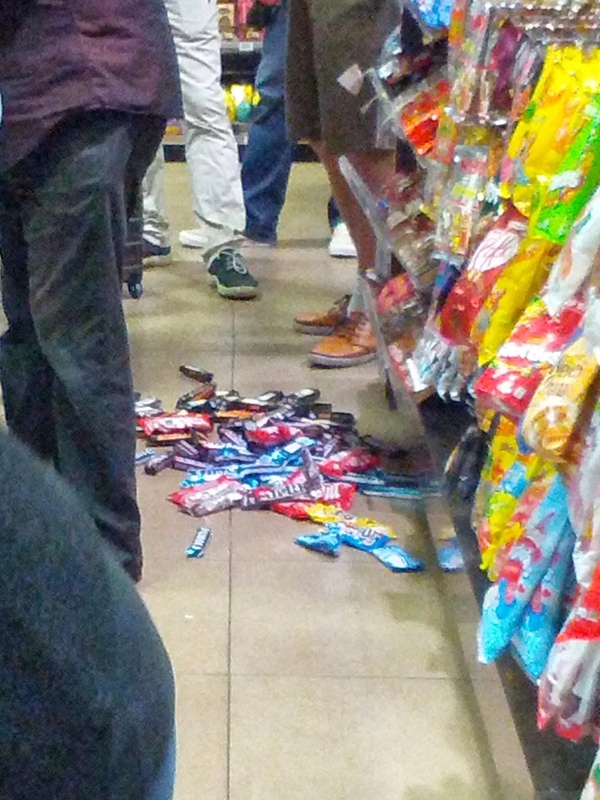 At Sydney Airport it had a tantrum and grabbed a corner of a shelf and caused havoc as it sent a confectionary display hurtling to the floor. Some of the confectionary that avalanches it’s way onto the floor. In Hong Kong while we were hiking about it decided to hang like a dead weight and to be as uncomfortable as it could be instead of sitting up perkily and happily as in previous Aussie walks. Then its ‘piece de resistance’ was to slip off my shoulder on the train from Rome Fiumicino to Rome Termini ( Rome Airport to the city) . I was so preoccupied with following the map to find the B&B where we were staying that I didn’t notice that Brat Backpack had gone missing. It wasn’t until I went to look for my favourite jumper that I had carefully rolled and put in its top that I noticed its absence. At first I thought I had left ‘Brat’ at the information Desk at the station. They knew nothing so we walked the distance of the 24 platforms to the very end of platform 1. Here we buzzed a button and asked to be let in. Then we joined a queue of other sad faces whose belongings had also taken off on adventures of their own. Our hope of ever finding our little travelling companion was low. The tired looking policeman shoved the mandatory form in front of us where we filled in two pages of personal information about me, the bag and it’s contents. The policeman asked us twice if we were yet finished. He seemed a little bit over looking after lost property. Needless to say ‘Brat’ and I are now reunited. We happily took the 40 minute train trip back to the airport and then the 40 minutes back to Rome. I am going to have to keep a closer rein on my young companion though I will not lose my trust in him. My prescription medicines were what helped us to find each other again. That and the honesty of some honest and kind stranger, who handed my little bag in to the authorities so that we can continue our journey together.